Students and student travel planners who want the Civil Rights movement to come alive should consider Brightspark Travel’s Civil Rights Tour. It’s not easy to be a teacher these days, even when the subject is the Civil Rights movement. It can be hard to hold students’ attention throughout any history lesson; they may not see the point of learning about the past, and to be fair, history books have a knack of making even the most significant events sound as dry and remote as the Gobi Desert. So, instead of simply reading about history – of even doing one better and watching movies about it – why not put students in the places it happened and let the time period speak for itself by way of artifacts and interactive exhibits? In other words, why not take them on a student tour of these historic sites? Brightspark Travel, an experienced educational travel company, has designed a highly-customizable tour that takes students through the Civil Rights movement. And it starts, not with the mid-century protests that usually spring to mind, but with a time much earlier than that. The tour’s first stop is usually Memphis, Tennessee, the home of the National Civil Rights Museum. The setting will definitely evoke thoughts of the movement for well-read students; the museum is located at the Lorraine Hotel, where James Earl Ray fatally shot Martin Luther King on April 4, 1968. Previously, this hotel hosted celebrities like Cab Calloway, Nat King Cole, and Aretha Franklin; now it’s converted into a multimedia experience that covers the events that preceded the Civil Rights movement as well as its contemporary echoes. Students can further explore African American history by visiting the Slave Haven Underground Museum, which is housed in a former stop along the Underground Railroad. Like other museums, there are artifacts and reenactments, but these pale in comparison to crawling into the actual dark tunnels and earthy passageways used to hide fleeing slaves. 16th St. Baptist Church April 16, 2012 in Birmingham, AL. Now a National Historic Landmark, the church is known for the tragic racially motivated bombing in 1963. Next, students can travel to Birmingham, where their first stop is the six-block Civil Rights District. 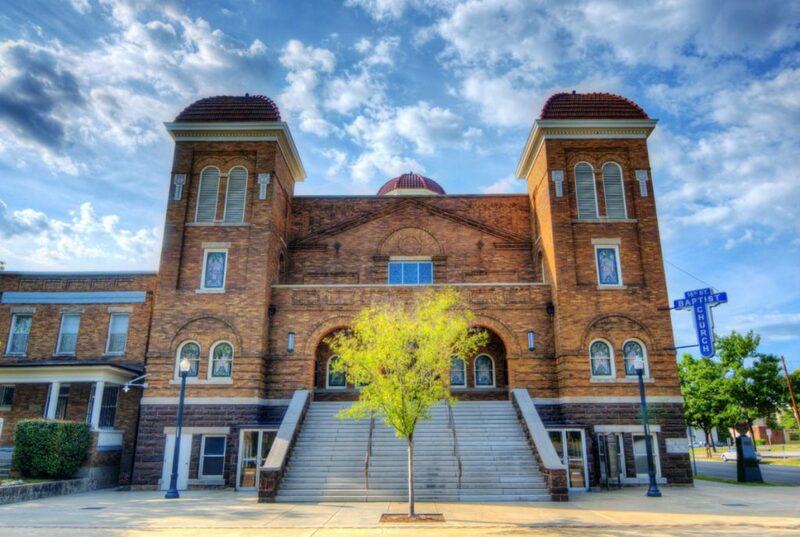 Here, they’ll visit such important landmarks as the 16th Street Baptist Church and Kelly Ingram Park, both of which served as rallying points during the movement. The District also contains the Birmingham Civil Rights Institute, an interpretive and interactive museum and research center. 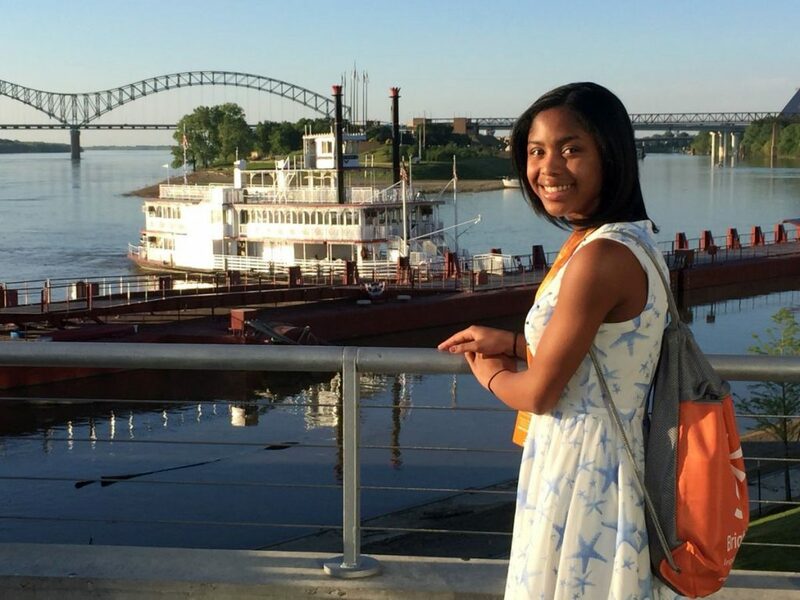 After Birmingham, students head to Selma and start their journey along the National Historic Trail toward Montgomery. Along the way, they’ll visit the Edmund Pettis Bridge, the National Voting Rights Museum, and the Lowndes County Interpretive Center. In Montgomery, they’ll get a chance to tour the Rosa Parks Museum, which tells the story behind one of the best-known incidents in the movement. They’ll also visit the Civil Rights Memorial and the new National Memorial for Peace and Justice, which was built to commemorate victims of racial terror and violence. The following day, students depart for Atlanta by way of Tuskegee, where they visit the Tuskegee Airmen’s National Historic Site and learn about the history of people of color in the armed forces. 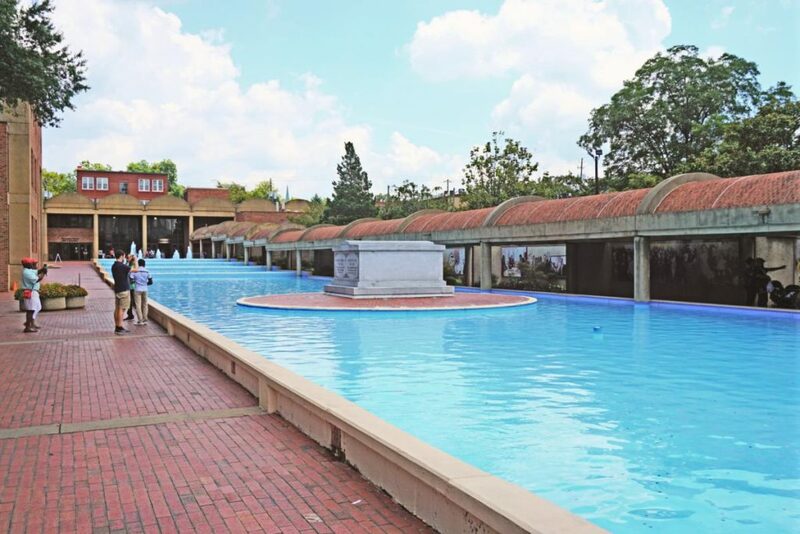 After Tuskegee, students head to Atlanta, where they visit the Martin Luther King Jr. National Historic Park. The Park not only serves as home to several exhibits themed around the Civil Rights struggle, it also includes special features designed particularly for young people and an interactive, life-sized installation that allows students to “march” through history. There are several buildings in the Park complex, all of which help shed light on the theme of non-violent change. This tour, while lasting just a few days, packs a lot of history into one student travel experience. Of course, it also contains some fun, non-educational activities, too. All well-planned school tours should offer a blend of education, adventure, and enjoyment, and that’s what the Brightspark Civil Rights Tour does. Brightspark specializes in the educational travel market, and they work closely with educators to curate the most interesting and notable destinations into meaningful student travel itineraries. And because they develop deep partnerships with their suppliers, they can provide an experience that’s fun, informative, and safe. Plus, Brightspark oversees every aspect of trip planning, from the itinerary to the transportation and accommodation, leaving teachers and planners free to concentrate on the educational aspects they want to emphasize. If you want to teach your kids the importance of the Civil Rights movement and where it fits into American history, then consider Brightspark Travel’s Civil Rights Tour. By taking them to the places where history actually happened, you’ll guarantee their attention and build memories that will last a lifetime.